By Susan Rambo. CENIC — the Corporation for Education Network Initiatives in California — wants to connect the state of California into one giant wireless mesh network. 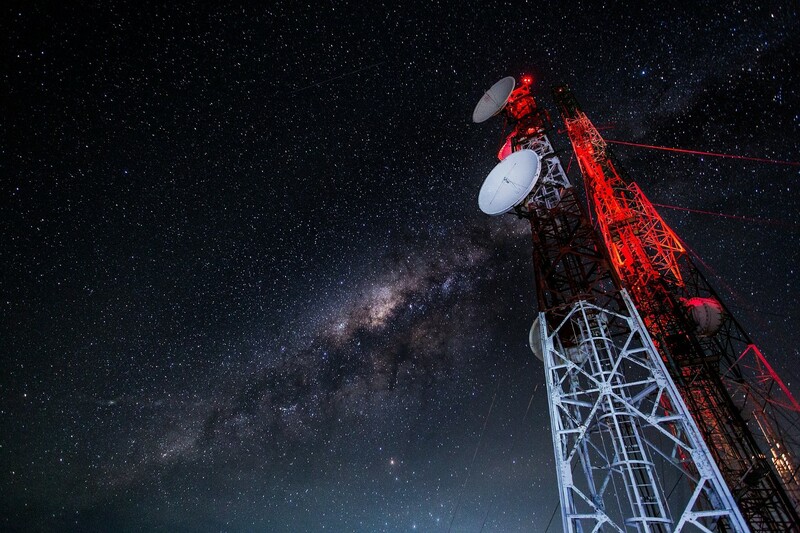 With 20 million users, non-profit network operator CENIC (pronounced “scenic”) may be in a good position to build that network. But they aren’t doing it on their own. Far from it. CENIC is part of a large community of public and private entities working to improve connectivity throughout California, an effort that has links to national and international projects. It all started with — and is grounded in — researchers. CENIC is governed by its charter members, California’s research institutions. Since 1997, CENIC has provided networks for those researchers. Now with over 8,000 miles of optical fiber, the nonprofit operates the high-capacity network fabric for California research institutions, California Research and Education Network (CalREN). The fabric consists of broadband connections, upon which last-mile wireless can be added if needed. Eventually that last mile may include 5G wireless technologies. The high bandwidth is important to researchers who need to move data — lots of data. “An awful lot of data is being collected by sensor nets and other kinds of data-intensive scientific tools. Historically [researchers] had to use sneakernet to get at the data,” CENIC’s President and CEO Louis Fox told RCR Wireless News. Now researchers have CalREN, which provides high-bandwidth connections. CENIC typically asks for symmetrical bandwidth. “Where possible a minimum of one gig symmetrical is our goal. It isn’t always possible in some of these sites because they’re rural and remote and we’ve worked in particular with GeoLinks — a very innovative private sector fixed wireless provider,” said Fox. The research platforms extend beyond California’s borders. The National Science Foundation recently funded Science DMZs — networks for Big Data transfers from supercomputers. The NSF is funding Pacific Research Platform (PRP), through UC San Diego and UC Berkeley. Fox agrees that CENIC’s PRP is a testbed for other Science DMZs throughout the country. “We’re part of a conversation that involves other regions of the country that are beginning to roll out what was done here in California,” said Fox. CENIC also collaborates with the Energy Sciences Network (ESnet), run from LBNL (Lawrence Berkeley National Laboratory), which connects to 40 Department of Energy sites. On a larger scale, CalREN is part of Pacific Wave — an international collaboration to connect researchers around the Pacific Rim. CENIC’s CalREN networks also work with Internet2 (which runs the national backbone network) and Pacific Northwest Gigapop, nonprofits that both serve networks of researchers and educators. CENIC also supports California Telehealth Network and fire and safety initiatives and research throughout the state. CENIC also supports the efforts of California Cities Data-Sharing Project, and the Big Data, Big Cities Initiative, for connecting California cities. Bringing more people access to the network, including rural communities, is a goal for CENIC, although not an official mandate. The nonprofit helps bring better internet access to rural and remote parts of California. Proving the demand in rural areas starved of wireless Internet access, Fox and U.S. Department of Agriculture’s broadband analyst Robert Tse, who spoke with RCR Wireless News recently, report seeing people in rural areas outside public libraries in lawn chairs, on the library steps or in their cars after the libraries were closed, accessing the library’s wireless broadband connections. “It’s such a critical resource for communities,” said Fox. Connecting farmers and rural underserved populations may go hand in hand. CENIC is working with UC ANR (University of California’s Agriculture and Natural Resources division) to improve the abysmal connections at the nine UC ANR extension centers where field research is done on crops. A recent boost of the fiber capacity and a low-cost addition of a wireless network in a field at UC ANR’s Kearney research area near Fresno has Kearney researchers thinking they could use the connected field as demonstration for a nearby rural town to get it connected at low cost. “We’ve moved into this whole arena of wireless extensions of the backbone network for three main areas,” said Fox. Connecting the community through libraries and schools is one. Second is helping researchers work on emergency systems such as fire and earthquake warnings. Third is precision agriculture. “That’s where UC ANR comes in,” he said. For farmers, all the sensors and data need to be collected and processed. 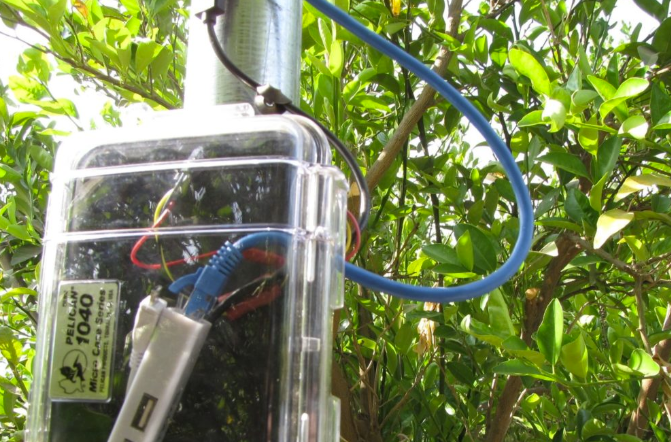 “Those sensors need direct access to a network so that both researchers and farmers can have immediate access to the data and then subsequently to the analytic tools which make sense of that data,” said Fox. Right now CENIC is mostly broadband, using fiber. “Historically, we have focused on terrestrial infrastructure. We run a pretty significant broadband backbone with multiple hundred gigs connecting roughly 12,000 institutions in California,” said Fox. With the help of GeoLinks, a private company and like-minded partner, CENIC is adding wireless to the last mile of their fiber networks.  “GeoLinks is a very innovative private sector fixed wireless provider,” said Fox. Fox hesitates to embrace the hype around 5G. “We wanted to smash distance and we wanted to smash time,” said Stuart Lynn, the CIO for the UC system in the 1990s, in a video (see below). “We wanted to break those barriers down to facilitate really effective research and educational collaboration.” 20 years ago, Lynn wanted to tie all the California university networks together in a high-quality, private network. CENIC recognizes accomplishments from the projects and systems researchers and government officials devised using the network. Fire-related works using the CENIC network are HPWREN, an effort of UC San Diego and Scripps Institution of Oceanography. ”They have really created a wireless mesh in San Diego County that is absolutely critical for those communities, particularly around wildland fire and especially to give first responders situational awareness of what’s going on with the fires,” said Fox. Alert Tahoe is a similar effort in Northern California led by University of Nevada Reno, which puts sensors, high-def cameras and instruments around Lake Tahoe. “They have dealt with literally hundreds of fires,” said Fox. Project Wifire, run by U.C. San Diego, uses San Diego’s supercomputing center to collect data on what wildfires do, using ground telemetry, weather data and satellite data the system collects. The supercomputer produces predictive analytics about how newly started fires will spread, which can help with evacuation and firefighting. “It is increasingly a critical tool because when you understand that for your first responders, for instance, the tool is surprisingly accurate,” said Fox. “I encourage continued work [on] this idea of just making the entire state of California one gigantic wireless mesh,” said Vint Cerf, Internet pioneer, at CENIC’s conference in March. This article originally appeared in the RCR Wireless News, July 10, 2018, and is re-posted with permission in the UC IT Blog. The future has arrived; it’s Smart, and we’re not ready for it. Here’s why. From Washington D.C., to the coast of California, “Smart City” is, and was, perhaps 2018’s most prominent buzzword, aside from “5G”, circulating nearly all tech, economic, and broadband related conferences and forums. While the exact definition of what really is a “Smart City” varies by person and party, the concept itself is based on the integration of Information and Communication Technologies (ICT) and the Internet of things or (IoT), to optimize city-wide operations, services, and ultimately connect to citizens. While some of the general public still think of this concept as far off, the reality is that “Smart Cities” have already began materializing across the country. Thus, this glorified digital future is here, and guess what America, we’re not ready. Well, it’s simple really. Cities and its citizens can have all the ICT or IoT devices they want, but in order to make a city smart, these systems and gadgets have to physically work. That’s where connectivity comes into play. To fuel a Smart City, you need to have broadband Internet access with enough bandwidth to support electronic data collection and transfers. According to the Federal Communications Commission’s (FCC) 2018 Broadband Deployment Report, upwards of 24 million Americans still lack access to high speed broadband. Furthermore, the report states that approximately 14 million rural Americans and 1.2 million Americans living on Tribal lands still lack mobile LTE broadband at speeds of 10 Mbps/3 Mbps. Finally, only 88% of American schools were reported to meet the FCC’s short-term connectivity goal of 100 Mbps per 1,000 users, and only 22% of school districts met its long-term connectivity goal of 1 Gbps per 1,000 users. So, regardless of which multi-million statistic we conclude is more legitimate, while many metro areas may have the bandwidth needed to at least partially move forward into the next digital revolution, there are still millions of Americans who would, as it stands, be left behind. This reality, coined the digital divide, is the ultimate Smart City roadblock. States and communities across the country advocate that pervasive fiber network expansion is the solution to closing the divide. And yes, fiber networks can be great. The reality is, however, that building out fiber infrastructure to every location in America is time-consuming, tedious, and prohibitively expensive. Therefore, deploying fiber does not make economic sense in many rural and urban areas of the country. The Google Fiber project serves as a prime example of this. To summarize, Google officially launched its Google Fiber project in 2010 with more than 1,100 cities applying to be the “First Fiber City.” By 2011, Google announced it selected Kansas City, Kansas as its target pilot. Fast-forward to 2014, and Google missed its projected city-wide connection deadline in Kansas claiming delays. By 2016, Google publicly commented that all-fiber build outs are proving infeasible due to costs and varying restrictive topologies, consequently filing with the FCC to begin testing wireless broadband internet in 24 cities. 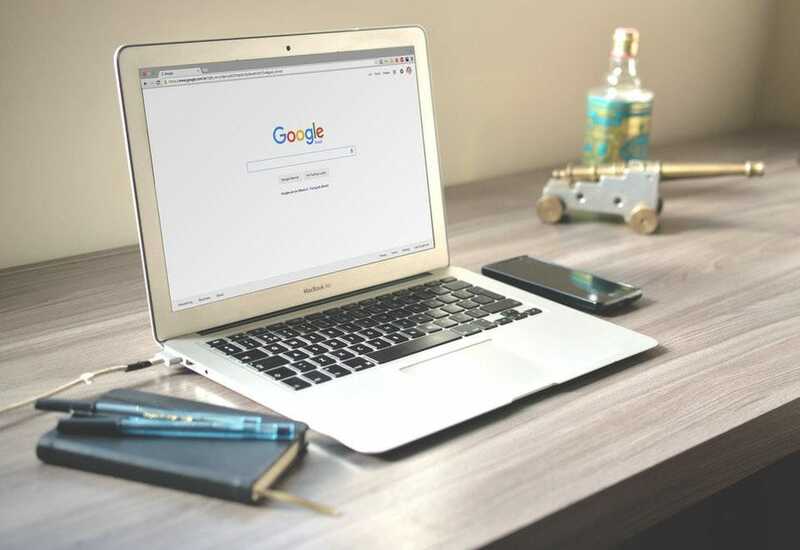 Within a few months, they officially acquired a wireless broadband provider and formally announced fixed wireless as part of their Google Fiber network moving forward. All in all, this case study demonstrates first-hand that to actually close the U.S. digital divide our country must adapt a technology-agnostic mind-set and implement a hybrid-network approach that utilizes whatever technology or technologies makes the most sense for a particular region. Technologies like Fixed Wireless, TV Whitespace, 4G, and Fixed 5G, all have their place, alongside Fiber, in closing the divide. Unfortunately, until those in positions of influence are able to open their minds to these alternative methods, America will remain unconnected. Who are people in positions of influence? Luckily, our current FCC administration seems at least semi-understanding that fiber isn’t a “one-size fits all solution”; demonstrated in the recent distribution of funding to WISPs in the CAF II Auction. However, many state and local governments remain less progressive. At a recent California Emerging Technology Fund (CETF) meeting in Sacramento, for example, a large majority of key broadband stakeholders and municipalities advocated that the California Department of Transportation’s (CALTRANS) future infrastructure plans should be wholly fiber-based to support the future of Smart Cities and Autonomous Cars. Whether it be from a lack of education, poor past experiences, or simply riding the buzzword bandwagon, until government organizations can push past common misconceptions that fiber is the only answer, community businesses and residents will be left in the divide. So, what’s the “Smart” thing to do now? For those cities in America already connected with reliable multi-gig Internet, go ahead, smart things up! Just keep in mind, to remain a Smart City, even fiber-rich metros will eventually need to extend current network infrastructure to new end points such as light poles, unconnected buildings, and future city expansions. Ultimately, if we want to collectively prepare for this new revolution, we need to first focus on closing the digital divide. First comes broadband, then comes innovation, then comes the utopian idea of not only Smart Cities, but a smart country. https://geolinks.com/wp-content/uploads/2018/12/The-future-has-arrived-its-Smart-and-were-not-ready-for-it.-Heres-why.-Lexie-Smith-GeoLinks.jpg 539 1920 Lexie Smith /wp-content/uploads/2018/01/GeoLinks2.png Lexie Smith2018-12-17 12:05:142019-02-11 16:48:36The future has arrived; it’s Smart, and we’re not ready for it. Here’s why. Computer science researchers from the University of California, Santa Barbara, are using the internet of things to prove that smart farming can be a farm implement as basic as the tractor and plough. The husband and wife team of Chandra Krintz and Rich Wolski, both UCSB computer science professors, think data analytics can help tackle some of the tough challenges of modern agriculture. They want to apply the predictive mathematical leaps used in modern internet commerce to predict what people will buy, to agriculture. The pair created the UCSB SmartFarm program in response to what they see as the main issues of agriculture. Krintz and Wolski cite U.S. Department of Agriculture and United Nations Food and Agriculture Organization studies that say some scary stuff: increasingly more food is needed to feed the growing global population, and yet farm labor is in short supply or too expensive. Eighty percent of the fresh water and 30% of global energy is used to produce food, half of which we waste in spoilage. Farming also has some particularly tough foes: Pests and disease attack farms’ output and farm land is subsiding (sinking) — especially in California — because of groundwater overdraft. On top of all that, agriculture makes 22% of greenhouse gases. The only way smart farming can make a dent on those issues is to attack specific problems. For Krintz and Wolski’s first test projects, they talked to the farmer — in this case, farm researchers — first before designing a system. Although almost every ag tech pitch begins with a summary of those issues, the UCSB computer scientists’ approach is to come up with scientifically vetted data about the usefulness of cloud and data analytics in farming. The design parameters of behind UCSB SmartFarm’s Farm Cloud System is to make a system a farmer could love: it should be easy to use and work reliably, cheaply and privately — farmers don’t want their data accessible. The system needs to provide useful data to help increase yield, automate farm operations or save money (or all three), and the data must be available real time. The whole thing has to work without IT staff. The self-managing system needs to work like an appliance, like your refrigerator, write Krintz and Wolski in a presentation about the project. Krintz and Wolski are testing the system on nut trees at Fresno State and on citrus at the University of California’s Lindcove Research and Extension Center (LREC) near Visalia, Calif. The UCSB SmartFarm program has support from Google, Huawei, IBM Research, Microsoft Research, the National Science Foundation, National Institutes of Health and the California Energy Commission. RCR Wireless News visited the LREC — a literal test bed for citrus and smart farming — and got the full tour of the UCSB’s Farm Cloud System. The public is probably not aware that agricultural research centers, such as LREC (Lindcove), do the hard science that protects our food. In the case of Lindcove, hard science is the study of mostly citrus trees, and it means the grueling work of studying each tree. Dr. Beth Grafton-Cardwell, research entomologist, an integrated pest management (IPM) specialist and Lindcove’s director remembers sorting fruit by hand. Standing near a huge packing line machine that dwarfed her, Grafton-Cardwell explained how the cameras and the extra sensors enable the machine to size and weigh the fruit, examine the outside of the fruit using three types of cameras and estimate the sugar levels inside. One piece of fruit goes through the machine at a time, for scientific purposes, which differs from how a normal packing house operates. “If I am a researcher, each of my trees is a replication and a different situation, so I want to know everything there is to know about the fruit on that tree,” said Grafton-Cardwell. The cameras take about 30 photographs of each piece of fruit, rotating the fruit as they go. Every parameter from each piece of fruit is put into a spreadsheet: “We know the size, the shape, if it has scarring, the precise color,” said Grafton-Cardwell. The growers paid for Lindcove’s packing line. “We can simulate anything you want to do on a commercial pack line,” said Grafton-Cardwell. Most packing houses have these machines but don’t use them the way researchers do. They use them for sorting fruit, not for collecting the precise data the researchers need. “The data sets are ginormous,” Grafton-Cardwell pointed out. Data and an interpretation of the data is the really the product that Lindcove produces. Originally started in 1959 by University of California Riverside and San Joaquin Valley citrus growers, Lindcove helps growers try out treatments and crop varieties without experimenting on their own crops, which protects their orchards — and livelihood. “Researchers from around the state can come here and do experiments,” said Grafton-Cardwell. Lindcove focuses on creating new varietals and demonstrating gardens of hundreds of citrus — a demo garden that is repeated in several other locations, such as the desert, for comparison. The center is working on 30 research projects right now. “Citrus grows quite easily statewide….there are 300,000 acres [planted] statewide. It’s all fresh market, [California growers] don’t do juice. If the growers produce for juice, they lose money,” said Grafton-Cardwell. Florida and Brazil are the juice producers. “Their climate produces a better juice fruit,” said Schmidt. Lindcove is one of nine research centers in the University of California’s Agriculture and Natural Resources (ANR) department. With soil and climate typical for the commercial citrus growing in the Central Valley of California, the Lindcove’s 175 idyllic acres may be tucked remotely against the Sierra foothills on the road to Sequoia National Park, but it’s on the forefront of fighting some pretty scary citrus pests. The Huanglongbing (HLB) bacterium has the citrus industry in California in an increasing panic. This bacterium, spread by the Asian citrus psyllids, a small bug imported from Asia, has already made its way up through Mexico and is now in Southern California and spreading northward. Huanglongbing, also known as citrus greening disease, is killing trees at alarming rates and there is no cure yet. “It has devastated Florida. Huanglongbing has knocked their acreage down by 50 percent,” said Grafton-Cardwell. “We are trying to get some proactive research going to prepare for the arrival of the disease in the commercial citrus. Right now it is just in residential backyards, but it is going to get to the commercial citrus in the near future,” said Grafton-Cardwell. In California, it is particularly hard to control because of the prevalence of backyard citrus trees. Unrelated to HLB, but nonetheless an insurance policy for all citrus growers, is Lindcove’s Citrus Clonal Protection Program (CCPP) out of UCR. Lindcove preserves and archives original budwood of citrus varieties as part of CCPP. Large screenhouses — greenhouses with screens instead of glass — hold clean budwood, which nurseries, growers and even citrus enthusiasts can use to propagate citrus plants. The citrus buds are grafted to rootstock and grown into trees in the screenhouses, where they are protected from insects. The screens on these structures are “rated for thrips” — so fine that thrips or psyllids can’t get through it. Recently when one of the screens had a breach, the CCPP program restarted all the trees in the screenhouse to make sure they were free of insects and disease. This is serious business. Lindcove now uses the fiber network from CENIC — the non-profit network operator for the California universities, colleges, schools and libraries — and fixed wireless company GeoLinks for last-mile wireless. “I didn’t even know what the internet of things was before Rich Wolski explained it,” said Grafton-Cardwell, but now she can’t wait to get it. The goal of the UCSB’s smart farm test at Lindcove is to improve the decision making for frost protection for citrus growers, which should help reduce costs and carbon footprint. Schmidt pointed out the culprit: the big wind machines on citrus farms. These wind machines are needed because the typical inversion layer of warmer air holds cold air to the ground, which damages fruit. The wind machines circulate the air when frost is imminent. It costs a lot to run the wind machines, which run on propane. That’s not even counting the cost of having to run around to the fields in a truck, taking temperature readings at all hours to make a decision when to turn on the wind machines. Krintz and Wolski’s team of students have installed low-cost, sturdy weather stations that can withstand the elements and accurately sense temperature and humidity at 5 feet and 30 feet from the ground. The stations are installed to be able to monitor 3 feet from the boundaries of where the wind machines cover. The poles also have surveillance cameras with infrared capability to allow more temperature measurement, beyond regular thermometers. A network station in the field moves the data to the office on-site. Drones could be used “on the fly” to monitor at different levels. Measuring and estimating the evaporation and transpiration under the tree canopy and sending that data to the office means that someone like Kurt Schmidt won’t have to manually take the temperature every hour at all hours, to determine when to turn on the fans. Also, tapping into Schmidt’s knowledge of when the fans need to be turned on will help inform the system; Krintz and Wolski can write software to automate the fans operations. Having more detailed information in real time means saving fuel if one windfan on one end of a microclimate doesn’t need to be turned on, even though others may need to run. This frost experiment is only the beginning. Grafton-Cardwell’s ultimate goal is to have a researcher go into a portal and view all the data associated with their research. This article originally appeared in the RCR Wireless News, July 17, 2018, and is re-posted with permission in the UC IT Blog. 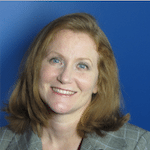 Susan Rambo covers 5G for RCR Wireless News. As a member of the Disaster Response and Recovery Working Group, Ditchfield will contribute to recommending measures to improve the broadband infrastructure before disasters happen and to restore them afterwards. Ditchfield is the only California representative and the only fixed wireless broadband provider in the working group. His Camarillo company is a mid-sized internet service provider. He was honored and excited to be part of the working group, Ditchfield said, adding that in the past few fire seasons his staff at GeoLinks has gained experience at restoring connectivity during natural disasters. “I am confident our working group can not only improve the resiliency of broadband infrastructure before disasters occur nationally, but also ensure that connectivity is both maintained and restored as quickly as possible,” Ditchfield said in a statement. Computer scientists from UCSB team up with citrus researchers to make a smart farm system that reports temperatures and may eventually automate the use of wind machines that keep frost off citrus crops. Computer science researchers from the University of California Santa Barbara are using the internet of things to prove that smart farming can be a farm implement as basic as the tractor and plough. Standing near a huge packing line machine that dwarfed her, Grafton-Cardwell explained how the cameras and the extra sensors enable the machine to size and weigh the fruit, examine the outside of the fruit using three types of cameras and estimate the juice level inside. One tree goes through the machine at a time, for scientific purposes, which differs from how a normal packing house operates. The growers paid for Lindcove’s packing line. “We can simulate anything you want to do on a commercial pack line,” said Grafton-Cardwell. All packing houses have these machines but don’t use them the way researchers do. They don’t need the precision of numbers that researchers need. “Citrus grows quite easily statewide….there are 300,000 acres [planted]statewide. It’s all fresh market, [California growers] don’t do juice. If the growers produce for juice, they lose money,” said Grafton-Cardwell. Florida and Brazil are the juice producers. “Their climate doesn’t produce a good-tasting fruit, so they stick with juice,” said Schmidt. The Huanglongbing (HLB) bacterium has the citrus industry in California in an increasing panic. This bacterium, spread by the Asian citrus psyllids, a small bug imported from Asia, is making its way up through Mexico into California starting with Southern California. Unrelated to HLB, but nonetheless an insurance policy for all citrus growers, is Lindcove’s Citrus Clonal Protection Program (CCPP) out of UCR. Lindcove preserves and archives original bud wood of citrus varieties as part of CCPP. Large screenhouses — greenhouses with screens instead of glass — hold clean bud wood, which nurseries, growers and even citrus enthusiasts can use to propagate citrus plants. The citrus buds are grafted to root stock and grown into trees in the screenhouses, where they are protected from insects. The screens on these structures are “rated for thrips” — so fine that thrips or psyllids can’t get through it. Recently when one of the screens split along one seam, the researchers destroyed all the trees in the compromised screenhouse and disinfected it before repairing it. This is serious business. Schmidt pointed out the culprit: the big windmills on citrus farms. These windmills are needed because the typical inversion layer of warmer air holds cold air to the ground, which damages fruit. The windmills circulate the air when frost is imminent. “It costs $30K a season to run these,” said Schmidt. That’s not even counting the cost of having to run around to the fields in a truck, taking temperature readings at all hours to make a decision when to turn on the windy gas guzzlers. Krintz and Wolski’s team of students have installed low-cost, sturdy weather stations that can withstand the elements and accurately sense temperature and humidity at 5 feet and 30 feet from the ground. The stations are installed to be able to monitor 3 feet from the boundaries of where the windfans cover. The poles also have surveillance cameras with infrared capability to allow more temperature measurement, beyond regular thermometers. A network station in the field moves the data to the office on-site. Drones are also used “on the fly” to monitor at different levels. UCSB’s smartfarm pole at UC ANR’s LREC.